Cloud infrastructure has made significant inroads into enterprise environments in recent years, as teams look to streamline the rollout of new products and services and enable DevOps innovation across their organizations. Public cloud giants like Amazon Web Services, Microsoft and Google have set the pace, and now others are seeking to tap into the elasticity, pooled resources and self-service of the cloud. To these ends, a cloud management platform such as QualiSystems CloudShell allows for management of private, public and hybrid cloud resources as well as adept automation of any type of infrastructure. In 2013, cloud infrastructure accounted for only about 3 percent of enterprise IT spending, according to estimates from Goldman Sachs. By 2018, however, it could grow to more than 10 percent. Over the same period, the total market for cloud infrastructure and platform solutions could quadruple in size to over $40 billion. More and more, IT is relied upon as a driver of revenue and profit growth as well as increased end-user satisfaction. Cost reduction and general modernization and replacement of legacy infrastructure are essential to remaking IT for these tasks, with implementation of cloud infrastructure offering a natural path from old to new. According to IDG Enterprise's Computerworld Forecast Study 2015, uptake of cloud computing was the single most important initiative at 16 percent of respondents' organizations. It was followed by overhaul of legacy systems at 12 percent. SaaS is one of the fastest crowing areas of the cloud. Enterprises are putting more of their applications and infrastructures in the cloud - 60 percent could run at least half of their workloads there by 2018. By 2016, more than 80 percent of enterprises worldwide may be using infrastructure-as-a-service, with private cloud showing greater growth than public or hybrid cloud among these organizations. In some regions, like Europe, the Middle East and Africa, there may be a more even distribution of public, private and hybrid architectures. Moreover, Technology Business Research has predicted a 50 percent year-over-year growth for hybrid cloud deployments in 2015. "There are a lot of enterprises and customers investing in their first pilot for hybrid deployments," stated Allan Krans of Technology Business Research. "You have a lot of customers who will be going [from] zero to something, so there's a much bigger growth curve." Software-as-a-service solutions have become increasingly viable alternatives to traditional applications, whether for intra-office messaging, email, customer relationship management or VoIP and unified communications. Centaur Partners has predicted that the market for SaaS business applications will exhibit a 19.5 percent compound annual growth rate from 2011 levels until 2016. 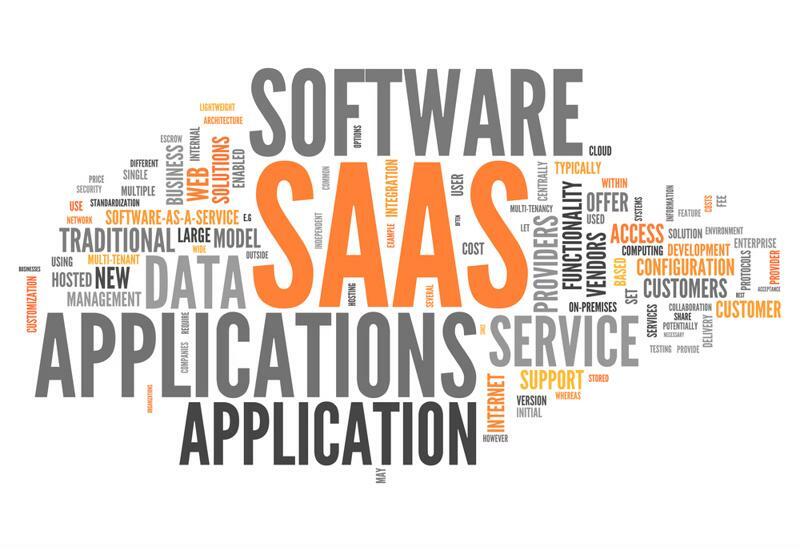 The worldwide SaaS and cloud software market may do even better, with a 22 percent compound annual growth rate between 2012 and 2017, reaching close to $80 billion. The result of this broad shift from in-house to cloud-based delivery is, ideally, a more streamlined organization that can effectively respond to the rising pressure to deliver products and services as quickly as possible. Introducing cloud solutions puts teams on the path toward more programmable and flexible infrastructure, capable of delivering IaaS and facilitating efficient development and testing cycles. "Introducing cloud solutions puts teams on the path toward more programmable and flexible infrastructure." Still, cloud adoption is still in the early days, and it will be years if not decades before most organizations replace legacy assets with modern networking, storage and compute resources. Dedicated servers and similar infrastructure are still the reality on the ground at many firms, and they have to be tended to during the long transition to the cloud, which in part explains the current widespread affinity for hybrid cloud arrangements. A cloud management platform such as CloudShell provides the workload optimization for any type of cloud environment. With everything from an IT-managed service catalog to dynamic sandboxing, CloudShell enables self-service for a broad range of users working with many types of infrastructure. The takeaway: Cloud management platforms will be pivotal as IaaS, PaaS and Saas solutions take on many of the workloads that were once run on legacy infrastructure. Enabling collaboration and self-service for many users is integral for getting the most out cloud investments. To this end, a solution like CloudShell provides the versatile automation needed for any type of cloud environment.